These bars are sweet and delicious! 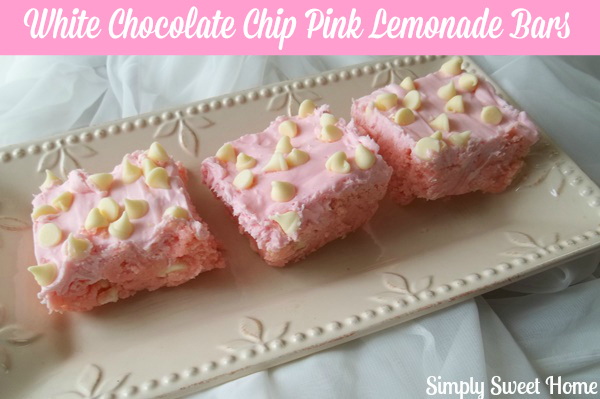 Their lemon flavor and lovely pink color make them a perfect spring treat, and they are also very easy to make, using just a few ingredients, including Pillsbury Pink Lemonade Cake Mix! Hope you enjoy! In a large bowl, mix together cake mix, melted butter, and sweetened condensed milk. Press about half of the dough in the bottom of a sprayed 8×8 or 9x9 cake pan. Sprinkle one cup of chocolate chips. Bake at 350 degrees for about 20 minutes or until chocolate chips are just melted. Then remove from oven and spread remaining dough on top, pressing firmly with spoon or spatula. Return to oven for another 20 minutes, or until down is lightly browned. Let cool. Then top with pink lemonade frosting and remaining white chocolate chips. Serve and enjoy! Disclosure: I was selected for this campaign through Platefull Co-op, and I received baking supplies and a Visa Gift Card to faciliate this post. The opinions are my own. These looks really delicious! Thought I can honestly say that I’ve never had pink lemonade cake so I’m curious to see how it tastes. Looks Delicious! Such nice, fresh spring flavors. 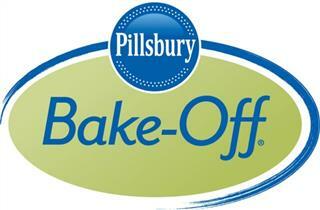 Good luck on the bake-off! That’s my favorite shade of pink. They look so pretty and yummy. Thanks for sharing. I’m already thinking about how I could make a variety of things with pink lemonade. YUM! These are so pretty in pink & my daughters would love them! These are almost too pretty to eat! 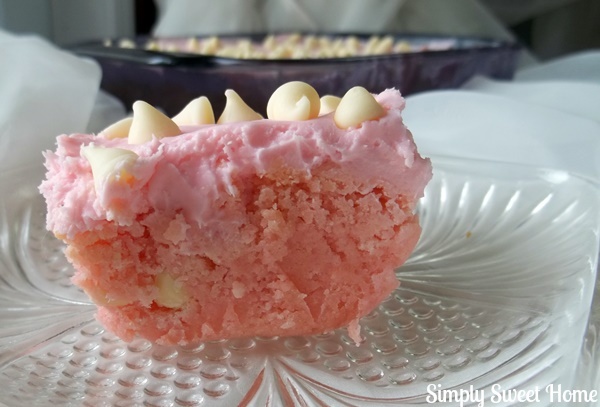 I’m looking for dessert ideas for my daughter’s princess party and I just may try these!